REMEMBER: LEAVE A COMMENT TO ENTER TO WIN THE ENTIRE LIBRARY OF NOMINATED BOOKS! It’s been a difficult choice between Megan Erikson and Alexis Hall, but I’ve made up my mind. Voted! I really liked Forbidden Rumspringa. All great books. But, Santino will always come out on top, for me. My choice is Suki Fleet. My pick is For Real by Alexis Hall. I voted for A Forbidden Rumspringa. One of my most favorite books. A Forbidden Rumspringa because I loved it. Thanks for this great giveaway! Thanks for the giveaway! I voted for For Real by Alexis Hall. I haven’t read any of those books yet. I voted for “Tigers on the Run” by Sean Kennedy. I love him! Anything Santino rocks my boat! I had to go with A Forbidden Rumspringa. It was just one of those books I didn’t think I would like so much but was the total opposite. For real, it has to be, well, you know. Alexis Hall writes so beautifully, and this latest is no exception. I didn’t nominate it, but I also loved Him, by Sarina Bowen and Elle Kennedy! That’s a great book. I want to to read all them!!! Thanks for the great book recommendations. I’ve added them all to my wish list. I choose Coming Home by Alexa Land as my favorite July read. Ouch, pick one? After going back and forth, and back and forth, I voted on A Forbidden Rumspringa. Suki Fleet – loved it! Sutphin Boulevard. Hands down, the best book I’ve read so far this year. Focus on Me is the best book I’ve read this year! 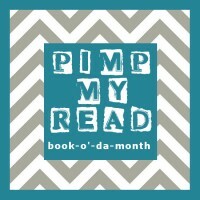 This entry was posted on July 31, 2015 by BioB in Giveaway, News and tagged alexis hall, BOM, keira andrews, megan erickson, pimp my read, PMR, santino hassell, Suki Fleet.